It seems sign orders come in waves. I no sooner get them all shipped and think I will have a few days then a new wave of orders arrives. I need a few days or maybe a month to get my studio whipped back into shape. All I need is some time, and some muscle available to get it straightened out. I have had neither, or not enough of either as of yet. One day soon, I shall. These two signs just went out to a lovely lady in Texas. Garden sign orders always start increasing at this time of year. People are so ready to be outside enjoying their gardens, patios, decks and yards. The sun is shining today and it should be lovely. I will share more on my chickies again soon. Just charming, thanks for sharing, at the moment I am house bound, but feel I am part of ‘it’ all with your and other talented bloggers. 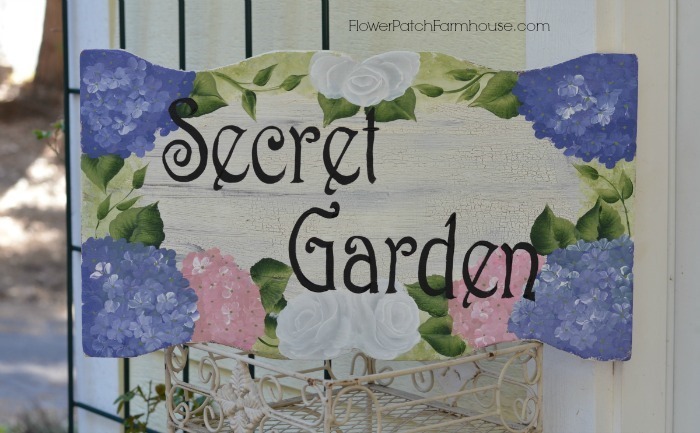 Love the garden shed sign! You are so talented! 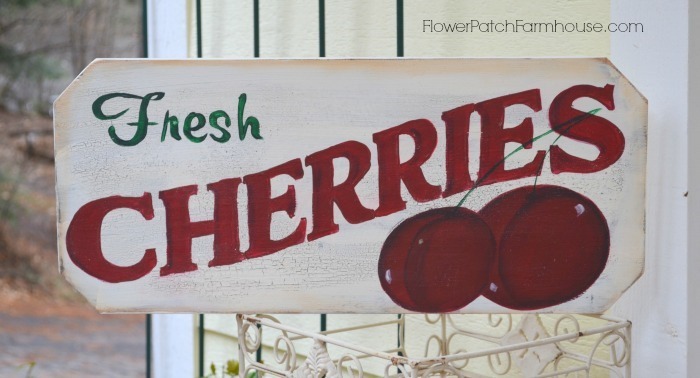 Can you make me this CHERRIES sign? 24 inches long by 12 high? Hi Olivia. I will email you.